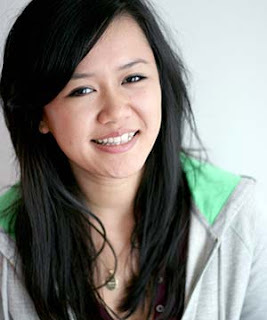 Natalie Tran is a digital media student and a second-generation Vietnamese Australian with more than 720,000 subscribers and more than 268 million views. As of July 2010, there are 238 videos available on her YouTube channel and she's the most-subscribed of all-time in Australia and the 22nd-most subscribed of all-time on YouTube. Natalie Tran isn’t just some 22-year-old who lives in her parent’s house, makes look-at-me videos and posts them on YouTube for kicks. But her clips on Community Channel have also made her one of 10 global independent YouTube stars who have earned more than $100,000 in the past year. She's funny, has a great sense of the absurd, talks about the daily flotsam and jetsum of her life with a wry sense of humor. And she brings in her cultural heritage to the mix, which gives her life commentary and observations all the more flavor. And every video ends with her responding to comments from her viewers. Making you feel like one of the Community Channel posse. Her self-effacing attitude makes the whole experience fun. And then you go on to screen the next one. So she gets to share the world of Natalie with all her video viewers and get paid for it too. Not a bad gig.